September 24, 1907 –Title is filed for property on Wentworth Avenue between Thirty-Fourth and Thirty-Fifth Street, land that will be used to build an armory for the Seventh Regiment of the Illinois National Guard. Architect W. Carbys Zimmerman will draw up the plans for the structure. The basement will contain a rifle range, bowwling alleys and a swimming pool. There will be two large areas for assemblages, one that will hold 2,000 people and another on the lower level that will accommodate 1,000. When completed the armory was even bigger than the projections. For $500,000 the city got a building capable of holding 15,000 people. In 1908 it hosted the Republican National Convention and later that year Eugene V. Debs, the socialist candidate for President, also spoke to large crowds there. You won’t find the armory there today. The site is the north parking lot complex for Guaranteed Rate Field. 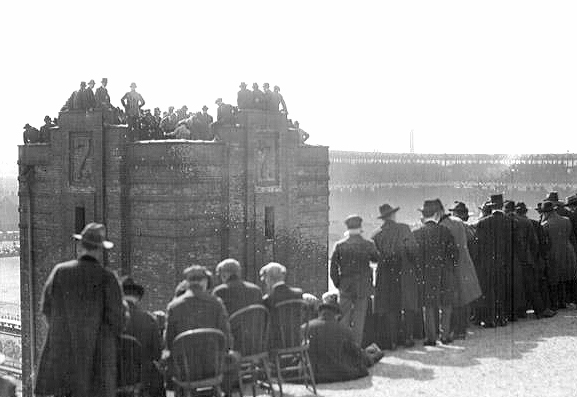 The above photo is an interesting one … it shows spectators watching the White Sox play the New York Giants in the 1917 World Series from the rooftop of the armory just to the north. Note the “7” on the tower from which viewers take in the game. 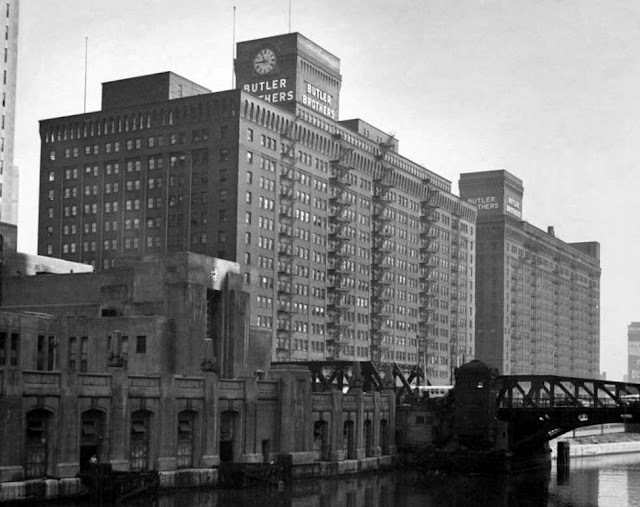 September 24, 1954 – With the decision to move to the suburbs, the Butler Brothers Catalog Company announces the appointment of Hogan and Farwell, Inc., a Chicago realty firm, as the leasing agent to develop the Butler building on the northeast corner of Canal and Randolph Streets. The building has close to one million square feet of floor space with the Prudential Insurance Company of America leasing the tenth and eleventh floors and the United States government holding short-term leases for the Social Security board and the Air Force. 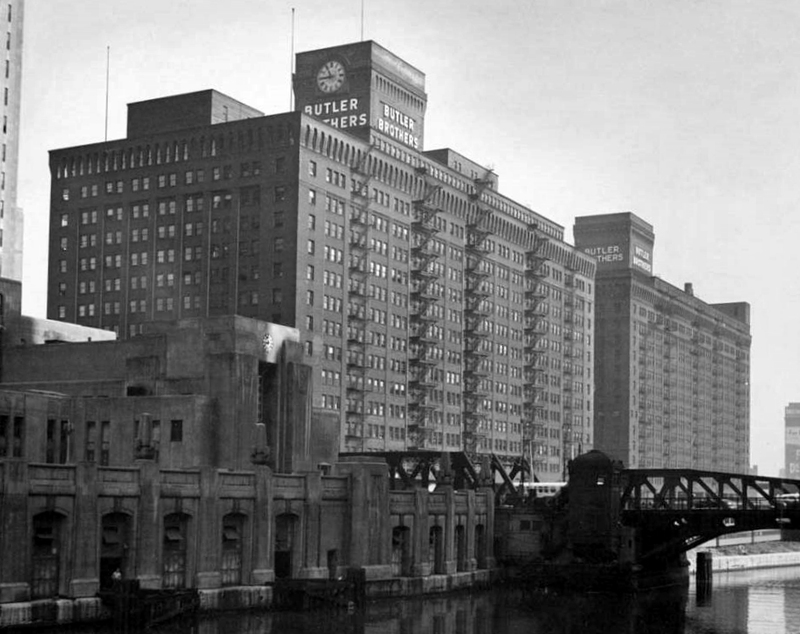 George and Edward Butler founded their mail-order company in Boston in 1877, opening a Chicago warehouse two years later. By 1910 over a thousand people worked in its Chicago operation. The 1922 warehouse, originally designed by Graham, Anderson, Probst and White, is today Randolph Place Condos with 340 loft apartments. 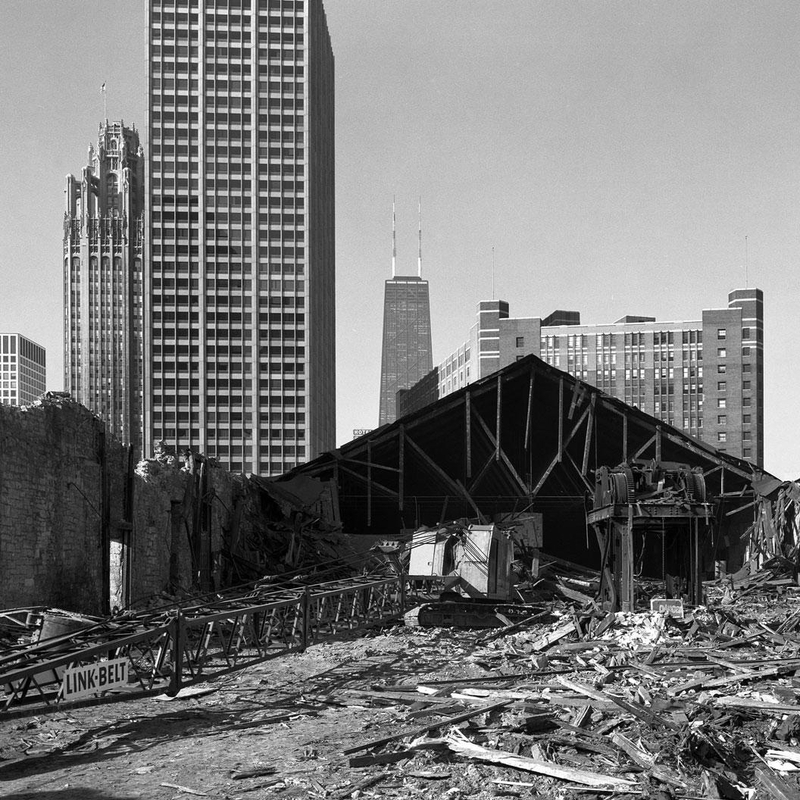 The photo above shows the complex in 1950.